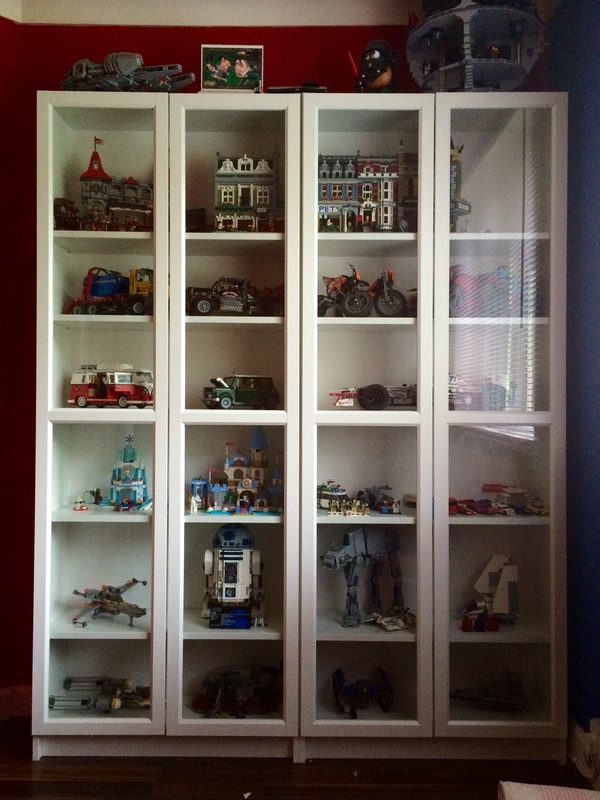 Fitting Lego Sets into Ikea Detolf glass cabinets! UCS R2-D2, newest AT-AT (with planets series snowspeeder wrapping a cable around it's leg), Orthanc if you remove a shelf and display it over two shelves, Ewok village minus the tree attached by rope bridge, haunted house, kingdoms joust and kingdoms MMV are probably my favourites in terms of how they fit aesthetically. Kwik E Mart is a perfect fit width wise, but leaves an awful lot of rogue height and doesn't leave room for the police car out front. The pirates chest set fits perfectly if you feel the need to store it in a display cabinet. Biggest problem I've had with them is the hopelessness of modern IKEA. I started out with the wood effect ones as they matched the shelves and such in the room, then doing as IKEA does they randomly discontinued them, then restarted again but offering only black and white. I've found IKEA completely useless for decorating a room nowadays as their product lines seem to last about 2 years at best before they change it so you have to fully furnish a room with everything you might ever want at once, or risk that nothing will be coordinated in 2 years time. Fortunately I managed to move things around and switch to the black cabinets okay moving the others elsewhere but still not exactly what I wanted. Thank you,I'm also considering fitting in Millenium Falcon 7965 into one and Hogwarts Castle 4842. I would consider folding Hogwarts castle as that's only way it will fit in. Agreed with Kwik E Mart,so much space in height. Though I've put Jabba's Palace and Unexpected Gathering set in one and considering Rancor Pit also. 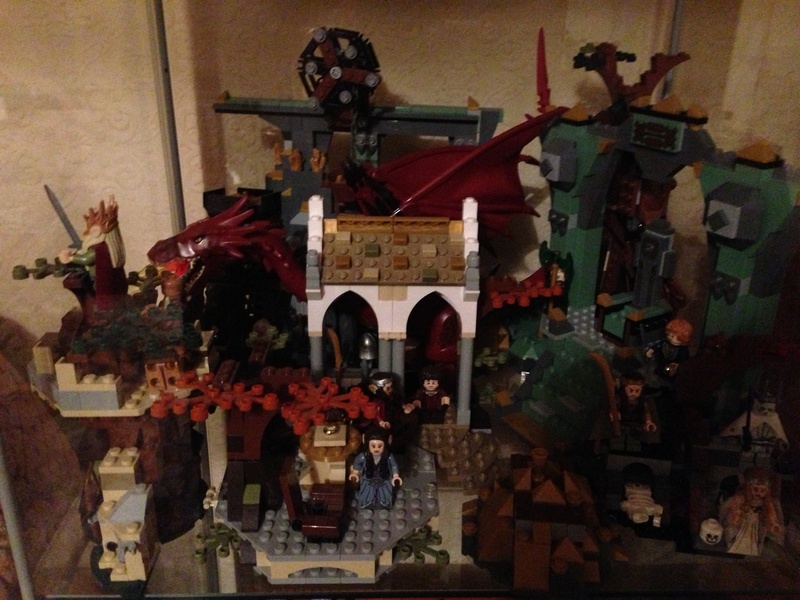 I was also considering putting two cabinets side by side and stretching Helms Deep into two. Thanks for input it really does help what I can put into cabinets. I do have Jabba's Palace with the Rancor pit underneath in one, but it leaves a lot of spare space. Unexpected gathering fits nicely too but again, like the Kwik E Mart too much free space vertically, though I intended to rectify this with an MoC to lift it up a bit onto a hill as in the film. I have two Detolf's dedicated to Lego, one of which is mostly MOC's, but the other of which is sets. One shelf is dedicated to Arkham Asylum: I've set up both the new 10937 Arkham Asylum and the old 7785 Arkham Asylum sets around the edges with the gates at the front, creating a rather pleasing courtyard with both a new part and an old disused part of Arkham Asylum (currently in use as a hiding place / laboratory for the Scarecrow). The shelf underneath is dedicated to Joker's Funhouse, which just about fits at a angle. Underneath again is a shelf for 10217 Diagon Alley, also set up around the edges to create an actual alley (with Gringott's at the back). Lowest part houses the old 10144 Sandcrawler with figures set next to it: it also just about fits when set at an angle; I have the newer Sandcrawler, but that one's way to big for a Detolf. Oh yes, I have Diagon and Arkham too and display them exactly as you do alldarker. The most recent Ninja Turtles Lair Invasion based on the movie fits nicely too, but I just saw that's already discontinued. 6 month run is pretty short! I have put Unexpected Gathering and Jabbas Palace in same one and Rancor Pit will soon be in there so I don't mind space. I have my fave sets in there. I always wanted to put a Diagon Alley in I just never got around to buying it. I've got a good place for Sandcrawler when I build it. Anyone know if newest Hogwarts castle can fit in one? I was able to fit the two smaller Guardians of the Galaxy sets. 32x32 baseplates fit, possibly even 48x48. 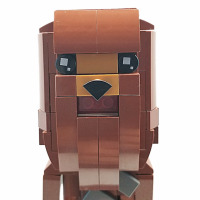 I just got two of these this past weekend and so far they are quite good for the architecture sets. R2D2 also is quite nice in them, keeps pesky kids from touching too! For the wasted vertical space with the Kwik-E-Mart, I've seen people who came up with mods to be able to install additional shelves in the Detolf, so maybe you could do something similar to get some additional display space. Awesome,I've fit Lonely Mountain,Mirkwood Elf Army,Witchking battle and Attack On Weathertop in same unit...very compact ha. Just about to build my next cabinet soon enough,lets see what I can fit in. I'm assuming the new Ferris wheel will be too big? A shame if so, I have a shelf spare adjacent to another cabinet that has the mixer in it. Rancor Pit with Jabba's Palace on top doesn't *quite* fit with the tower attached - I've separated it. Jabba's Sail Barge and Skiff fit at a push. #7962 Podracers just about fit. #7965 Millennium Falcon doesn't fit, it does go on top though (but you can't really see it). 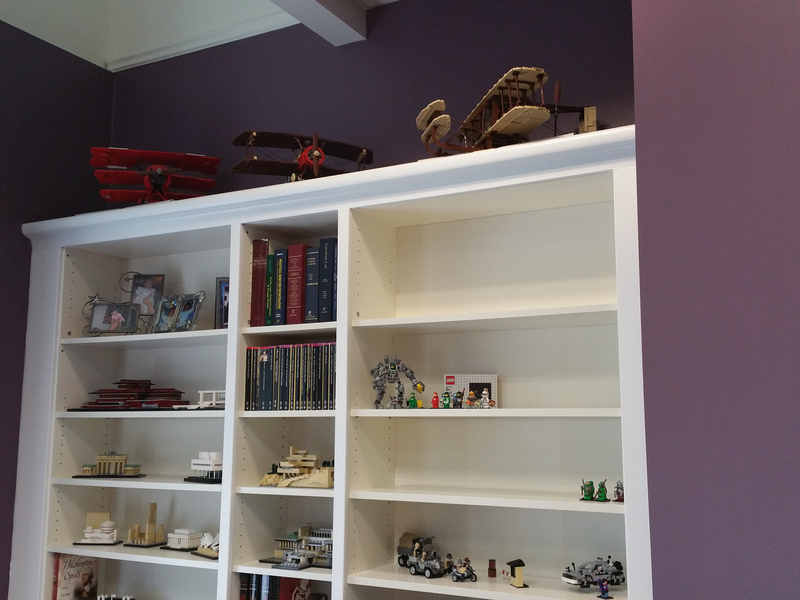 48x48 baseplates don't fit in horizontally, but they do fit vertically behind the shelves. I've put a couple in and clipped Planets vehicles / minifigs / stands to them. 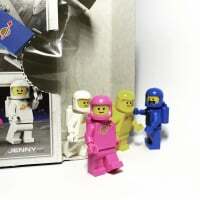 Modular Buildings do fit, with a bit of space left around them (but see below). The biggest problem as others have mentioned, is the wasted vertical space. I did get some 4mm (I think) metal cable clips from B&Q, to support extra shelves. Problem is, getting reinforced glass shelves is more expensive than buying a whole new Detolf! Are you sure? I have mine in there, though maybe I had to remove a piece off the top or something. It's on the very bottom if that makes a difference. ^ Pretty sure - however mine's 3rd up. I think the bottom shelf might be a bit higher? I'll check when I get home, but looking at the picture of it now I think I recall having to remove that one very highest piece on the lookout tower, but I think that was it. Thanks very much for all your input,much appreciated and great help. I think I will leave Millenium Falcon for now then. I've today just fit in sail barge and Skiff and yes it's a squeeze but it fits. One I'm most proud of is fitting in Lonely Mountain,Witch King Battle,Mirwood Elf Army and Council Of Elrond,with Tree Ent other side. What a tight one. I'm going to get another cabinet soon enough. I'd consider getting Partisan Restaurant also as that looks pretty damn impressive. I've looked into accrylic risers that are only 10cm tall to get another level,but think that will only be good for my amiibo collection. I need PICTURES! Thanks in advance! I appreciate the comments and tips as well! Now how do you protect the models from sunlight? Well for myself I have net curtains also and I've had items displayed on my shelf for years and no sunlight damage to be fair. With one of cabinets it's out way from any contact with sunlight. How good are these cabinets at protecting from dust? Are they sealed or are there small gaps around the edges? I've looked at the online catalogue and it isn't very clear. IKEA is a 120 mile round trip for me, so any advice would be most appreciated. How good are these cabinets at protecting from dust? Are they sealed or are there small gaps around the edges? Seconded! This is what most concerns me, aside from the yellowing effect of direct sunlight. But I can control that (room with no windows). There are small gaps around the door, maybe 5mm. The back corners are sealed with rubber strips. so not perfect, but they do keep the majority of dust off. Yeah a little dust gets in through the front but not much. Well you should not worry about sunlight damage only if it's on windowsill or on the window. Mine are protected by net curtains also which will stop it from happening. I've had some figurines on my shelf since year 2000 that have had no damage what so ever. Then with an extra layer of glass you will have no problem. Tiny,tiny gaps but you will have no problem with dust compared to being on the shelf. No worries,I've got two at the moment and planning on getting a third. Well is the glass UV protected? Many times they are. If so then I do not think you have to worry about sunlight right? I have been curious about these as I have thought about displaying some nicer sets in my living room and would like a nice way to present them (plus I'm about 30 minute drives from both Ikea's in my area, which does not hurt) Can anyone please provide a pic of the complete cabinet? Sorry for the delay,here is a part of my collection. With a few wrestling figures in the bottom section. Just got a bit excited seeing your wrestling figures. YES!YES!YES! Far too much inside that cabinet, imho. Everything's crammed in like its some kind of storage device rather than a display cabinet. I had two of them Ikea cabinets to keep my Hot Toys collection in. Within a month i had sold both of them. they just look really cheap & tacky and looked out of place in my living room. Perhaps I can get some help here, but is there a good display cabinet that can fit the UCS B-Wing, Slave I, and Sandcrawler? Bonus points if it can also hold the Death Star (10188). I see somebody mentioned the GALANT wall cabinet for modulars, will it fit all of them? I'm a little worried about height, mainly for the Grand Emporium and Palace Cinema. I need one to fit the Grand Emporium, Pet Shop, Palace Cinema, Parisian Restaurant, and Detective's Office. Those cabinets are really popular with some of the (non-LEGO) collectors on other forums I'm on. I showed them to my girlfriend and she vetoed them for the same reasons that you gave. We ended up buying different shelves from IKEA that look a lot better in our opinion. Unfortunately, they discontinued the glass doors for the ones we did get, so now I'm stuck without them. ^^ GALANT will fit 3 modulars in each side, but GE is too tall, and PC is also (just). Yeah, I was afraid of that. My fiance and I really would like to have all 5 displayed side by side in the same display case, so I guess I'll keep looking around. @johnhenz haha I wasn't expecting to get more compliments on my wrestling figures :smiley: I've got a few Daniel Bryan in there. @paul_merton well agreed there's loads crammed in there,but it brightens up whole place and seeing all different sets from different angles is better that one set in my opinion. I've enjoyed them a lot more since I've put more in. My cabinets upstairs would be even more cluttered otherwise. To be fair I love cabinets from Ikea they are almost perfect for me. Shame they are not a bit wider or higher but you can't have everything. These cabinets are also perfect for any Amiibo collectors out there. Add acrylic risers and great. Great for small not as tall sets also. 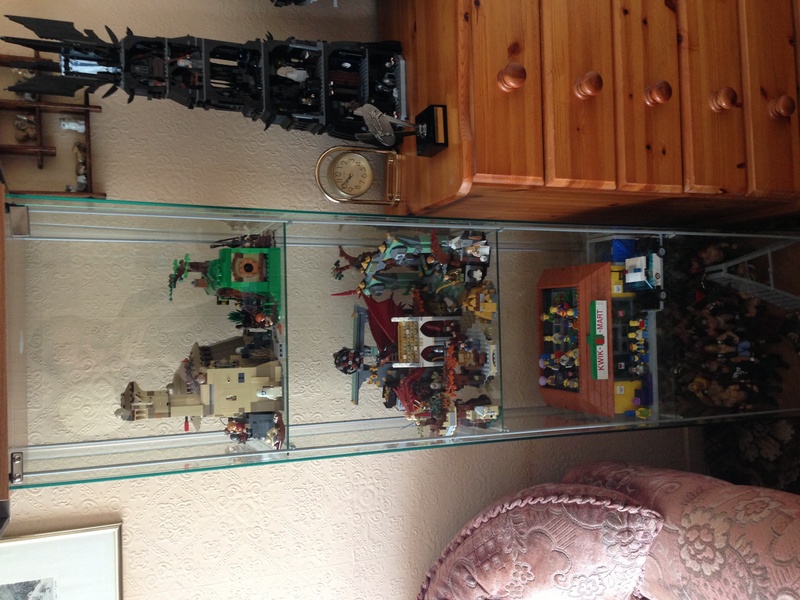 Been looking at getting the Billy bookcase system and putting the glass doors over them to display many sets. Anyone else do this? I've got two standard Billy bookshelves and one narrow Billy bookshelf with the extensions on the top. I had a carpenter make five trim pieces to give the appearance that it is built in. I hate that there are no doors, but there isn't too much dust. Here is my Billy bookshelves with glass doors. ^ I really like that look! It is a very clean look. The doors are a bit of a pain as you can see for the modulars as having the PS and PC connected together the join of the doors get in the way so obscure part of the display. 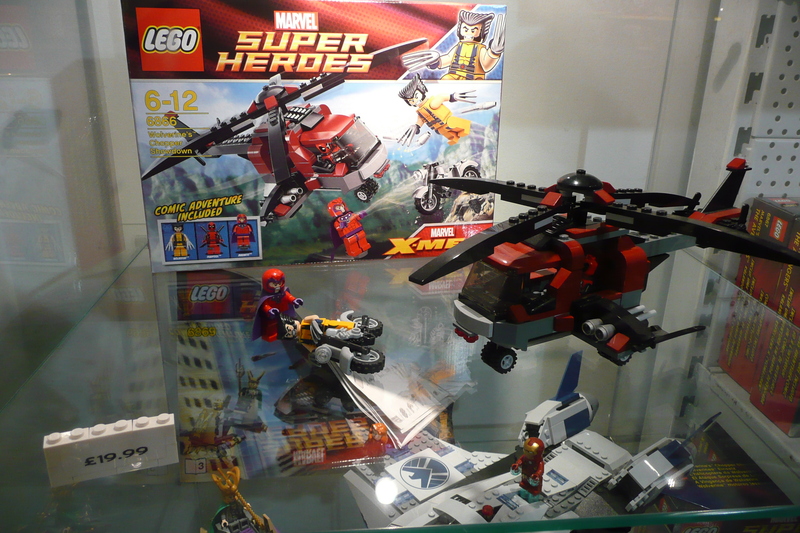 Also, more annoyingly, is the fact that 3 modulars do not fit on one shelf. They are 1 stud too wide, 1 STUD! That was so hard for me to accept. 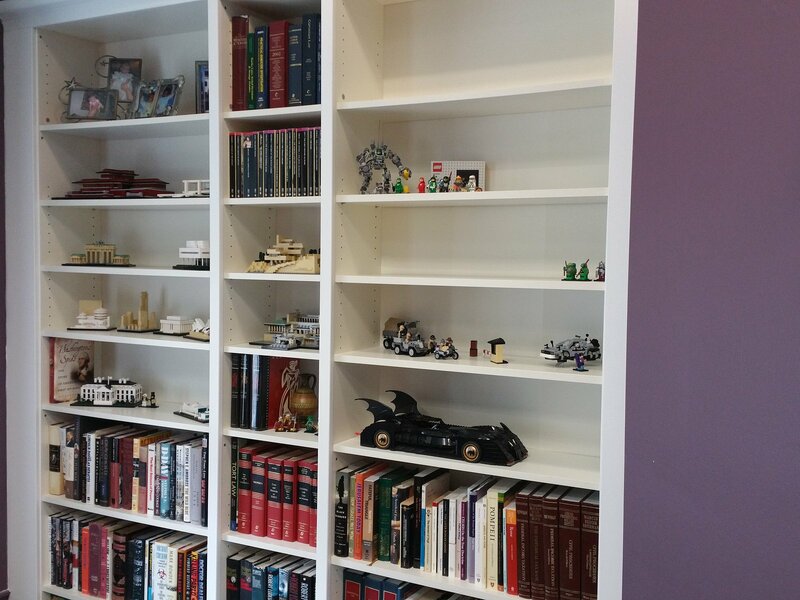 My fiance and I may go the bookcase with doors route and just not connect the modulars together. One question though, with the adjustable shelves, it is capable of holding the UCS Sandcrawler, Slave I, and B-Wing?